Five contracts for the Children’s Health Insurance Program in the Rio Grande Valley were canceled Monday after the Texas Health and Human Services Commission detected errors with their bidding process. The problems stemmed from scoring issues detected during an internal review of the HHSC’s request for proposals and evaluation process. The contracts, awarded to Driscoll Children’s Health Plan, Blue Cross and Blue Shield of Texas, Texas Children’s Health Plan, Molina Healthcare of Texas and Superior HealthPlan, were set to begin Sept. 1 and run through Dec. 31, 2019. Driscoll and Molina had been awarded contracts to offer services to the estimated 34,000 CHIP members in the Hidalgo County service area, which encompasses 10 counties including Hidalgo, Starr and Cameron. Mary Dale Peterson, president and CEO of Driscoll Health Plan, said she was disappointed in the decision but said she understood the state had to maintain a fair process. 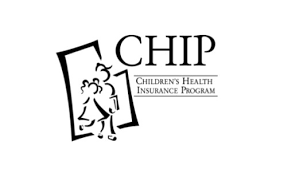 The company had long been hoping to start offering CHIP services in the area to align with what’s already offered here, such as Star Medicaid and Star Kids. Now that those five contracts are being canceled, the current contracts with Molina and Superior will be extended. Williams assured delivery of services will not be affected and neither will those companies’ ability to apply for contracts in the future. In fact, Williams wrote, those companies are encouraged to apply again for CHIP services contracts that will begin in January 2020. The error, however, has launched an investigation by HHSC’s inspector general and the state auditor’s office at the request of Gov. Greg Abbott. In a letter to HHSC Executive Commissioner Charles Smith, Abbott expressed his own disappointment in the matter. “Mistakes like this are unacceptable, which is why I am requesting immediate action to examine and address errors in the existing procurement tool and system as well as the underlying process moving forward,” Abbott wrote, though he added he had no reason to believe the actions were intentional. As a result of the errors, the commission announced they had terminated three employees Monday who were associated with the procurement.